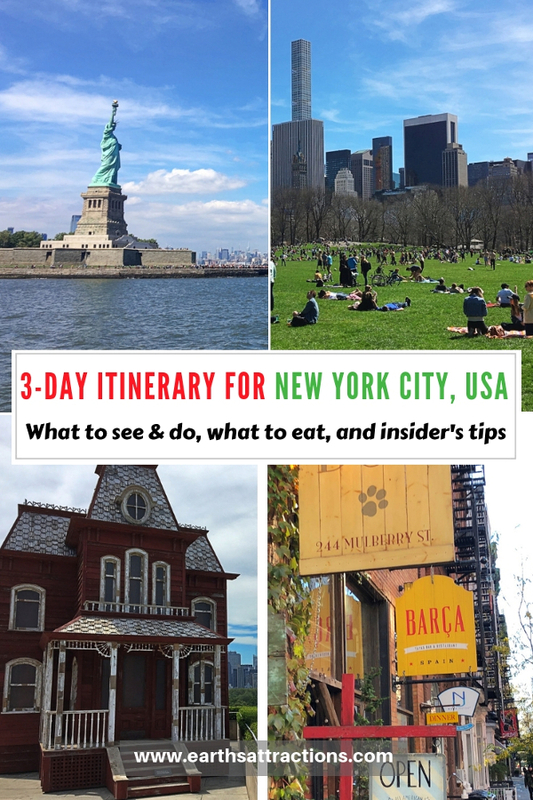 Wondering what to do in NYC in 3 days? 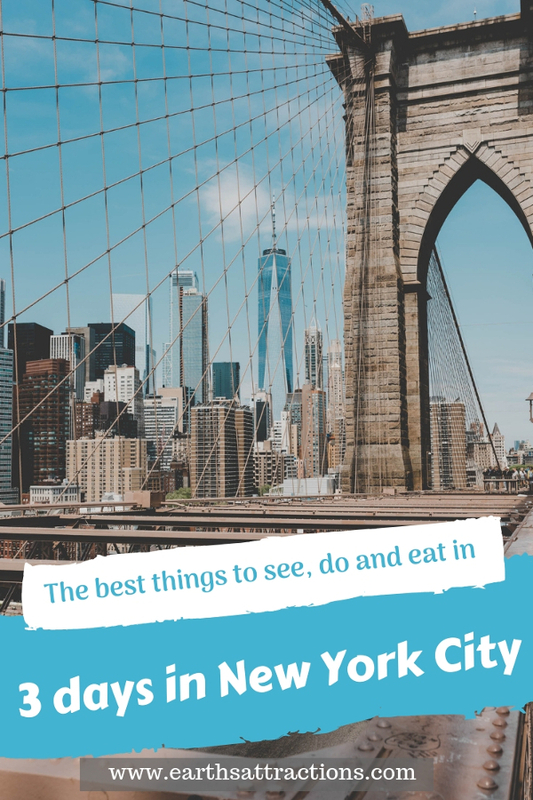 Here’s the perfect NYC 3-day itinerary by a local that includes famous tourist attractions as well as off the beaten path things to do in New York City in three days. 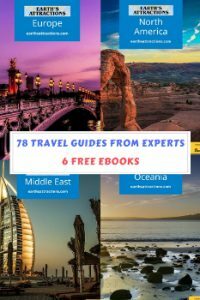 The recommendations are presented by James from Travel Collecting and include all the information you need to make the most of a short visit in New York City. So, here’s what to see in New York in 3 days. If you have more than a few days to spend in NYC, read our local’s guide to New York City. And remember that there are 20 free things to do in New York City you can enjoy. New York City is the city that never sleeps. 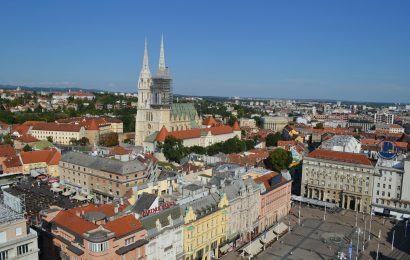 It is one of – if not THE – most exciting cities in the world. Being in New York is like being in a movie or TV show come to life. There is an energy and a magic that no other place in the world has. You could easily spend three months exploring everything that the city has to offer, but in three days you can hit the highlights AND some lesser known places that will make your visit the best it could possibly be. Here is my itinerary for a perfect three-day visit to New York City. BREAKFAST: Grey Dog. There are four locations of this casual restaurant to choose from. You will need to get here early to avoid lines, but if you sleep in a little, as you stand in line, a staff member will reserve a vacant table with a bandana so you can sit down as soon as you have ordered at the counter. The food is brought to your table, and it will not disappoint. INSIDER TIP: Grab your cutlery and condiments from a side table before you sit down, as they are not served with your food. MORNING: Central Park. Start your 72 hours in New York City in this amazing place. 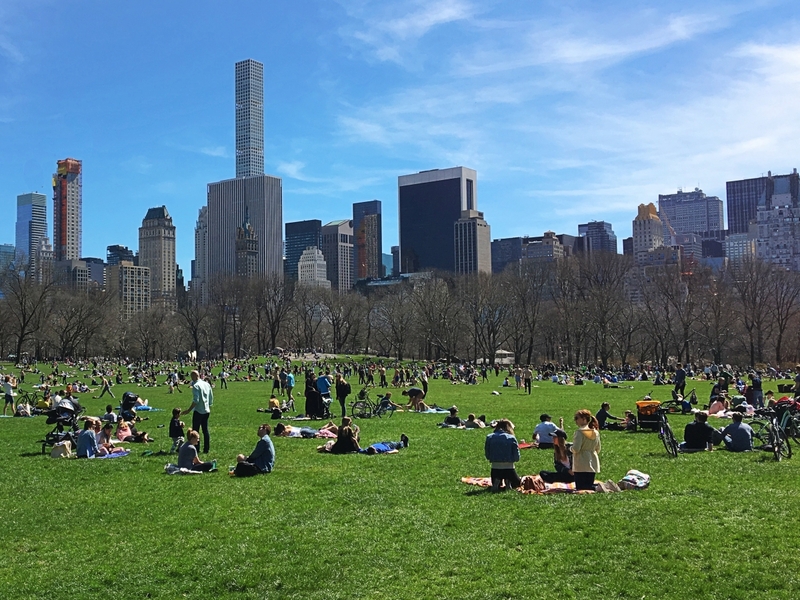 There is so much to see and do in Central Park that what you do will depend on your interests. Highlights include the Loeb Boathouse, where you can row a boat in summer (a perfect thing on a sunny day) for $15 per hour (cash only); the Conservatory Water, where you can rent a miniature remote-control sail boat ($11 for 30 minute); Bethesda Fountain; Strawberry Fields and Imagine; Belvedere Castle; the Central Park Zoo and the nearby Alice in Wonderland Statue; and winter ice skating at the Wollman Rink. INSIDER TIP: Time your visit to the zoo on the hour to see the Delacorte Clock play music and move around. LUNCH: You won’t want to rush out of Central Park and there are few places for more romantic and relaxing than the Lakeside Restaurant at the Loeb’s boathouse, right on the boating lake. AFTERNOON: A trip to the Met. In addition to amazing collections of art and artefacts from around the world, The Metropolitan Museum of Art has many incredible spaces to hang out and explore. 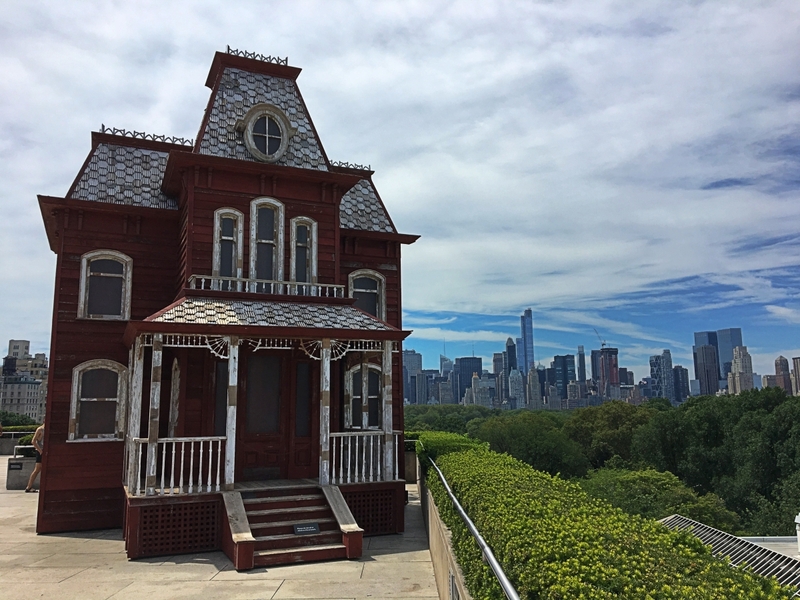 Have a cocktail on the summer rooftop terrace with amazing views of Central Park, enjoy a quiet moment in the indoor Chinese garden, wander through rows of Egyptian mummies and peek inside a complete Egyptian temple, admire famous European art, and much more. And remember: there are many more wonderful things to do in New York City in 3 days. INSIDER TIP: There is a lower level entrance to the left side of the main staircase that usually has much shorter lines for the coat check. DINNER: Have an early dinner at Juniors in Times Square. Make sure you leave room for the authentic New York cheesecake! EVENING: See a Broadway show. No trip to New York City is complete without catching a Broadway show. There are same-day half-price ticket booths, but for a three-day visit, don’t waste your time standing in line – buy your tickets in advance. There are always great musicals and serious plays to choose from. After the show, spend some time in Times Square. The lights, bustle, people and energy are like nowhere else on earth. Relax on the red steps and people watch until you are ready for bed. INSIDER TIP: Avoid the costumed characters – they can get aggressive if you don’t tip them for having their photo taken. BREAKFAST: Grab a bagel to go, as you want to get an early start as you only have 3 days in NYC and so much to see and do. INSIDER TIP: The most common filling is cream cheese – this should be very thick! An “everything bagel” refers to the toppings (sesame seeds, poppy seeds, onion flakes, etc.). MORNING: Visit the Statue of Liberty and Ellis Island. Tickets include a visit to both and for Liberty, you can buy a ticket to just the grounds, to the pedestal or to the crown. Tickets for the crown sell out months in advance, so buy your ticket as soon as you can, but note that the crown looks out to the harbor, not towards Manhattan. Ellis Island is where immigrants used to go first to be cleared upon entry into the United States and there is an interesting immigration museum there. 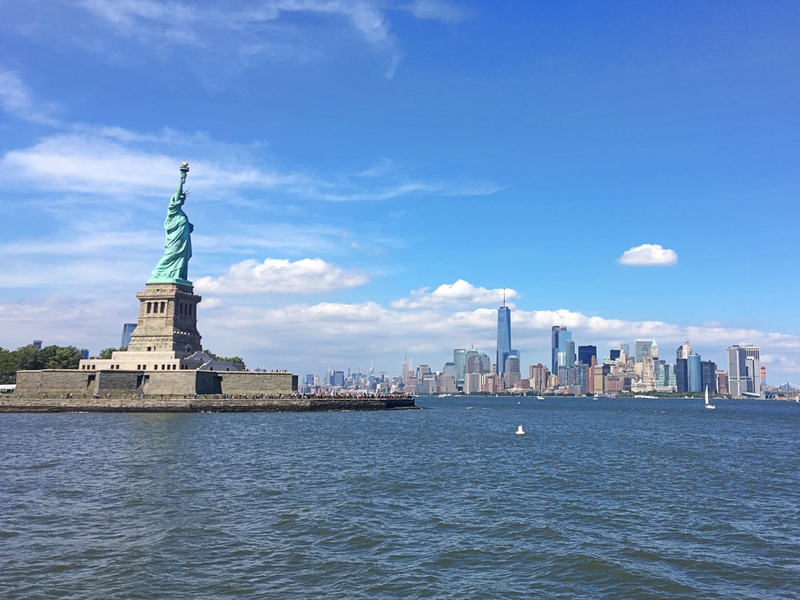 INSIDER TIP: Be on the first (9:00am) boat – lines get longer throughout the day, and you will need to line up to get from Liberty Island to Ellis Island and then from Ellis Island back to Manhattan. AFTERNOON: Walk across the Brooklyn Bridge for iconic views of Manhattan from the Bridge and from Brooklyn Heights across the East River. Read our complete local’s guide to Brooklyn. so that you make the most of your 3 day trip to NYC. INSIDER TIP: Take the subway to Brooklyn Heights and then walk back across the Brooklyn Bridge towards Manhattan. Most people walk from Manhattan, but if you do it in reverse, you get Manhattan views the whole way. Take the 5 train from Battery Park to Fulton Street station and the A or C to High Street in Brooklyn Heights. Washington Square Park. Head to Greenwich Village and relax before dinner with great people watching in Washington Square Park. DINNER: La Lanterna. This cute Italian restaurant is opposite the park. It has great pizza. INSIDER TIP: Ask for a table in the covered garden in the back. 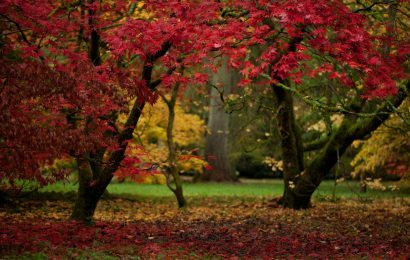 This is a very romantic spot, but also good for non-couples. EVENING: Go to a comedy or jazz club in Greenwich Village. 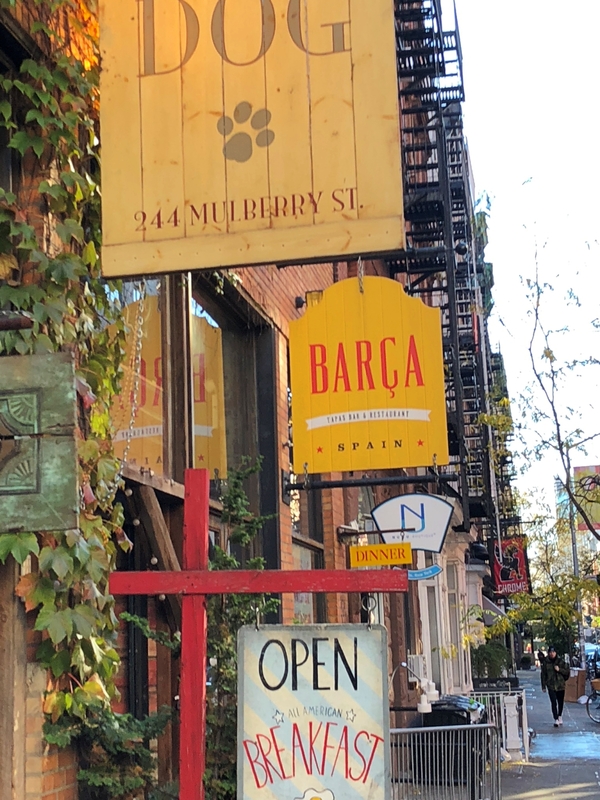 The village isn’t the bohemian place it used to be, but you can still catch great jazz at the Blue Note or stand up comedy (of varying quality) at one of several venues on and around Macdougal Street. You will need a reservation for the Blue Note, but won’t for the comedy clubs. You can also often catch live (non-jazz) music at clubs here. BREAKFAST: Balthazar. Feel like you are in Paris at this super chic Soho restaurant. Breakfast here is a real treat. INSIDER TIP: Ask for a bench seat – they are more comfortable and you people watch more easily. Also, get the bread basket – it’s enormous (so share) – and delicious. MORNING: Shopping. The shopping in New York City has no rival. Choose from hitting the designer stores in Soho or have everything all together at the original Macy’s. It will definitely be an unforgettable long weekend in New York. INSIDER TIP: In Soho, the cheaper stores are on Broadway between Houston and Canal. LUNCH: If you were shopping in Soho, head to Katz’s Deli for a pastrami sandwich, or if you were at Macy’s, head out to Herald Square for an authentic New York hot dog from a roadside hotdog stand. Katz’s Deli is one of the last truly authentic Jewish delis and it is a real treat. You will probably NOT be able to eat the entire sandwich. INSIDER TIP: When you enter Katz’s, you will get a ticket – don’t lose it! You need it at the end when you pay on the way out. AFTERNOON: Walk along the High Line. This is a park created along an abandoned elevated freight railway line. It runs from Gansevoort Street in the Meatpacking District to West 34th Street, between 10th and 12th Avenues. INSIDER TIP: Start at the southern end and walk north – most people tend to walk this way, so you will be going with the traffic. Empire State Building. 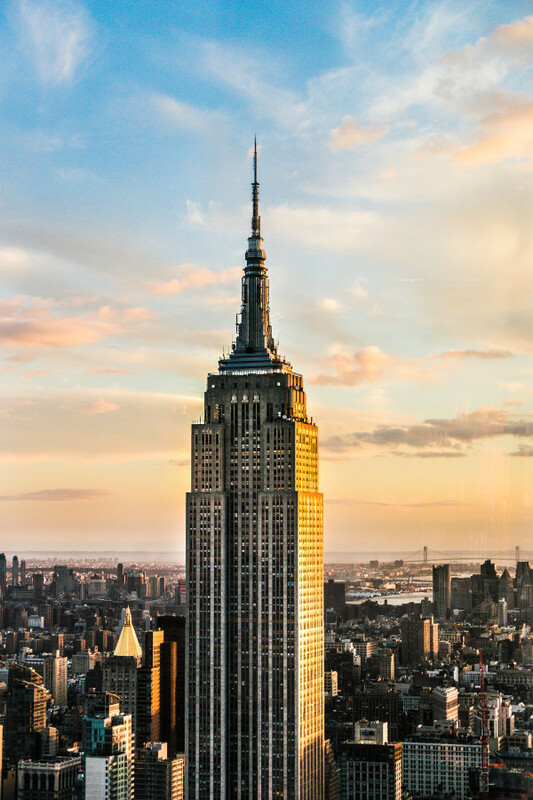 There are several buildings with observation decks in New York, but the Empire State Building is the most iconic. There are views of Central Park to the north and the World Trade Center to the south. INSIDER TIP: Go late afternoon so you can see the views during the daylight, dusk and the night lights. Plus, most people are having dinner, so the lines tend to be shorter. DINNER: Vatan. This Midtown Indian restaurant has delicious all-you-can-eat vegetarian food brought to your table so make sure to include it on your travel itinerary for your New York in 3 days trip. The setting, a recreation of an Indian village, complete with huts, trees and sky, is magical. Get a late reservation. INSIDER TIP: Ask for a table downstairs – they are much more atmospheric. EVENING: If you have energy left, head to The Aviary, a cocktail bar on the 35th floor of the Mandarin Oriental Hotel for a nightcap with a view-to-die-for for the prefect end to a prefect three days in New York City. 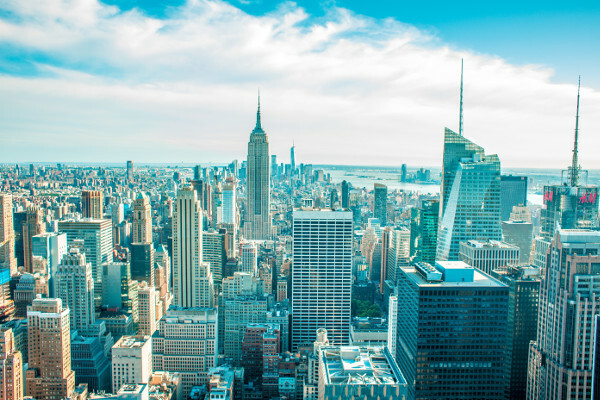 As you can see, if you are planning to spend 3 days in New York City you have enough time to visit many wonderful New York City tourist attractions. 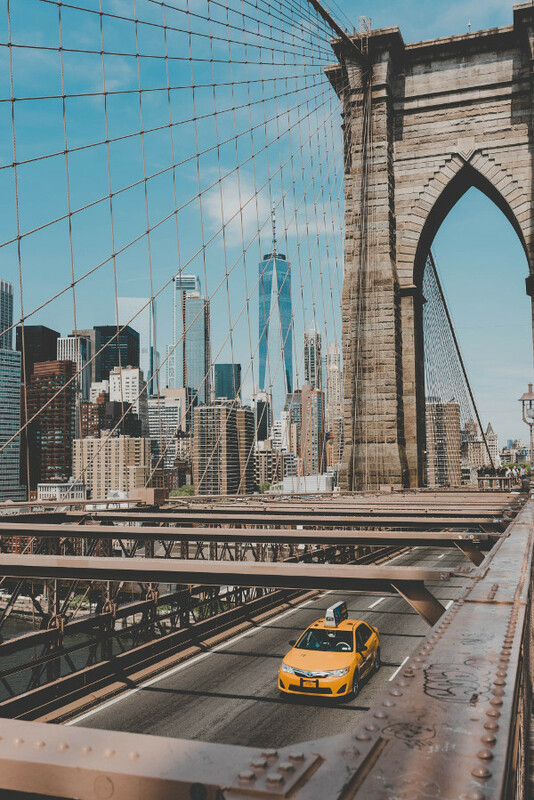 This 3 days in New York itinerary has all you need to make the most of your visit! James from Travel Collecting spent several months in New York City as a tourist before falling in love with a New Yorker (and New York) and getting married. He has lived in NYC for over 11 years. Follow his stories on Facebook, Instagram, and Pinterest as well. 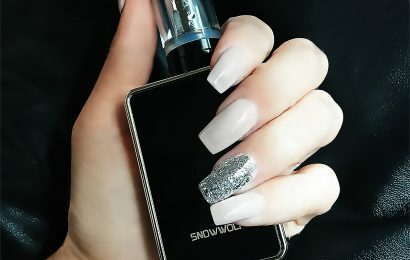 How to get best E-juices when traveling? 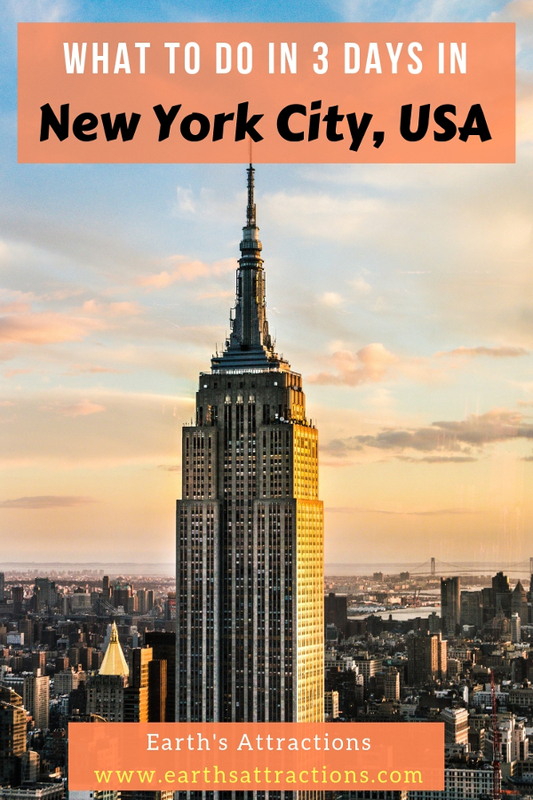 I hope you use this itinerary and visit New York! It really is the best city in the world, and if you follow this, you will be busy, but see and experience a lot of amazing things that the city has to offer! I’ve been to NYC a few times and your post just proves that New York is a never ending treasure trove. There is always something new and exciting to do in this fabulous city. Great itinerary and I will be sure to use it next time I go. It looks like there are so many wonderful things to do!! I love all the insider tips that you’ve included. Now that the train stops here in our city here in Virginia, we are planning a future getaway to NYC.